Thank you for visiting my website. It is my privilege to meet you. I am proud of my practice, my staff and my patients. I believe in training my team and educating my patients. 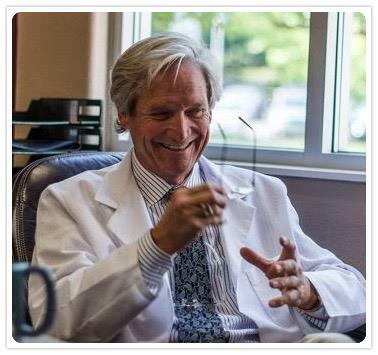 After 37 years as a dentist in Forest Grove, I still have the passion and drive to do the very best I can do every day. I love dentistry and what it can do for people. I believe strongly in a definitive dental approach. Treating a tooth correctly and minimizing the need to re-visit the tooth is the healthiest solution. When you visit with me, I will assess your situation and give you all available options. There are often many ways to treat. We will discuss all of them, the fees attached, and the potential outcomes. You will be informed completely before we reach a decision. Excellence in dentistry begins with a careful diagnosis and treatment plan to establish the goals we will achieve together. Communication and long-term relationships are important to me. Let me know what is on your mind and ask questions. My team will help you realize an investment in yourself pays dividends for a lifetime. We are caring, skilled professionals, dedicated to simplifying what is often a very complicated and confusing area of health care. We want all our patients to be informed and knowledgeable about their dental health care, from treatment plans and services, to insurance coverage. I was walking by and needed a tooth checked. The staff got me right in, Dr. dropped what he was doing and took care of me. I have always had nothing but positive experiences with Dr. Tidwell. Dr. Tidwell is very, very gentle. His work is outstanding. I have a horrible fear of dentists and Dr. Tidwell has gained my respect and confidence. If I was to ever move out of state I can honestly say that I would travel the distance to get my dental work done. And his staff is very good at making you feel comfortable and call you to remind you of your appointments.